all a-flutter over twitter = giveaway for you! We’re very excited about Stray Dog Arts over here, for a few reasons… 1) because, well, Jessie rocks. 2) Thursday, May 6th, is the opening reception for Stray Dog Arts’ “Dogs of Edina” gallery show! If you’re free from 5-7pm on Thursday, you HAVE to come. It’s in a huge gallery space at the Galleria in Edina, it’s catered, there’s live music, and you’ll get a chance to hobnob with the artist herself. I’ll be there photographing the event, so say hi to me too! So! Leave a comment, maybe win a 4×4 block print from Stray Dog Arts. Easy Peasy! Congrats on your Twitter success! I would LOVE one of those darling pieces of dog art. I am migrating to a home office and am looking for some inspiring art pieces! These would look so great! Congratulations on 1,000 mark and I bet the 2,000 will be just around the corner! What a great giveaway. I love Stray Dog Arts! yay for Sarah Beth fans! I LOVE the nose paintings Stray Dog Arts! these are so adorable! i love jessie’s work. congrats on your twitter numbers!! Cool art! Congrats of the number of followers! Congrats for your amazing work! I’m from Brazil and I follow you because of your work. I love dogs and animals and I find in you a way to express the animals feelings. oh I love these. if I loved close I would be there for the open reception, for sure! Congrats Sarah. Well deserved milestone. And beautiful work Stray Dog Arts! I love the art! Congrats on the 1,000 mark! If I were in MN I’d def come out on the 6th! Random-number-generator, pick me, pick me! Sarah, congrats! Love Stray Dog Arts… she did a painting of my Boston Terrier. It’s beautiful. Can’t wait to check out the exhibit too! Very cute block paintings! I’d love to win this. Congrats Sarah, you are doing so great! I am excited to attend the big event! Congratulations! Love the dog art!! Congrats on 1000! 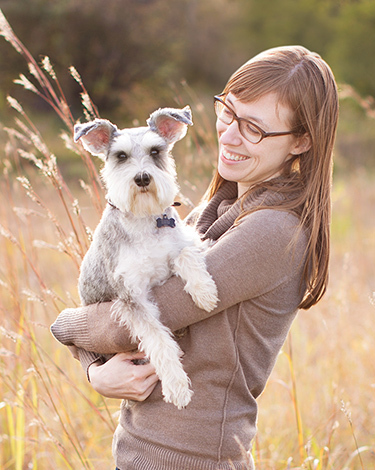 Love your photography and the schnauzer from the Eskimo Kisses collection! holy cow, congrats on that 1,000 mark!!! Congrats! You do such great work! I love the little dog nose prints! So cute! You have amazing such amazing shots here – congrats on 1000 followers!